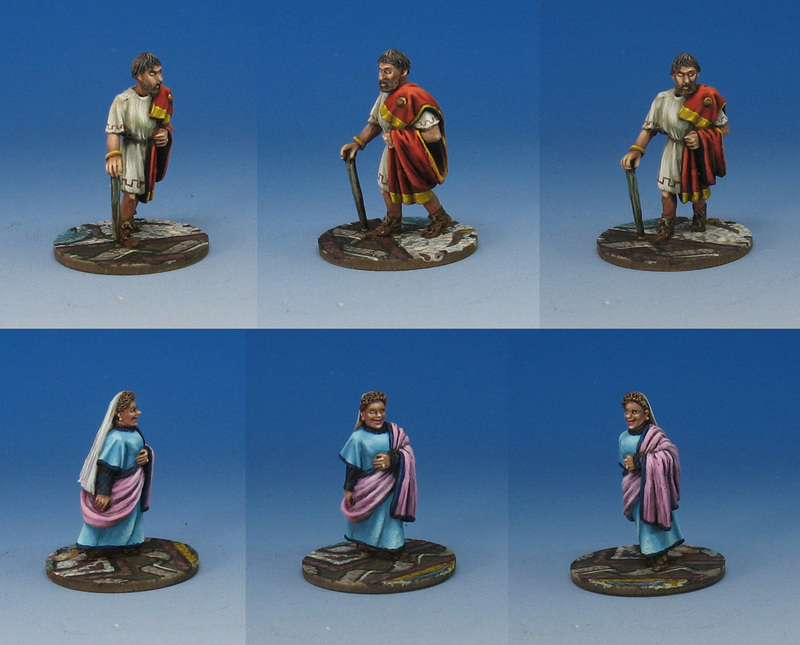 Time to see some finished images of the Gangs of Rome figures! This is one of the "mobs" which is part of the game. It seems that these folks can influence what is going on quite a bit, as they have random reactions to the street combat going on around them. 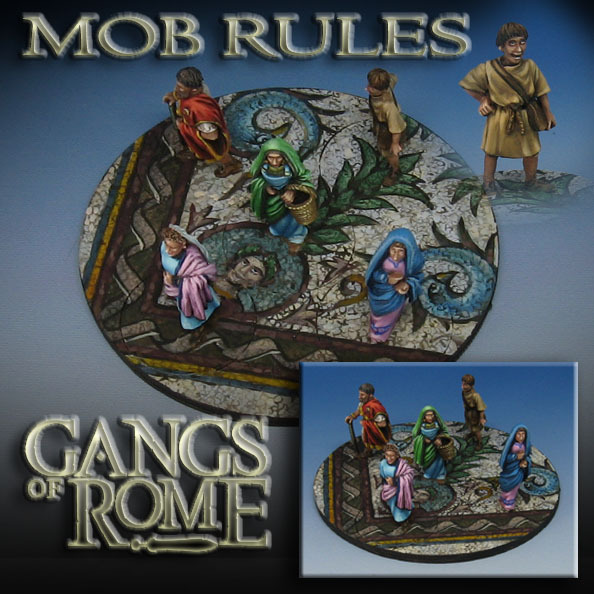 These will be on display at the Warlord Games convention going on this weekend in Oklahoma City... all three mobs and all of the gladiators as well. 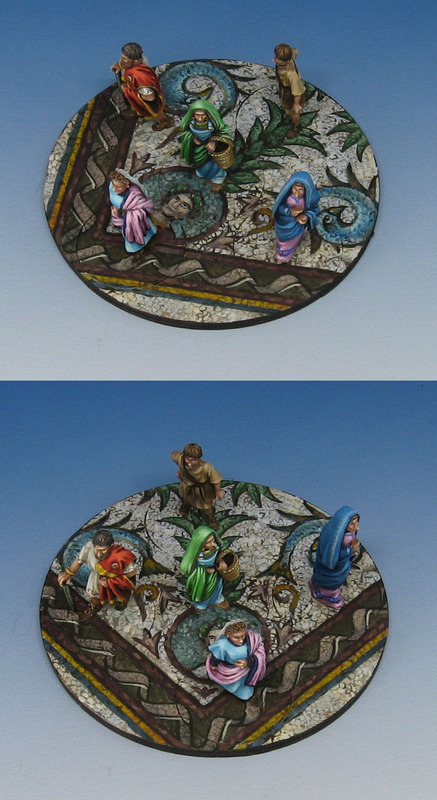 I also have a mosaic tile basing video that was made during the Painting Pyramid tutorial series. The folks who are part of my Patreon Page (with a $5 pledge) have been checking that out this month. 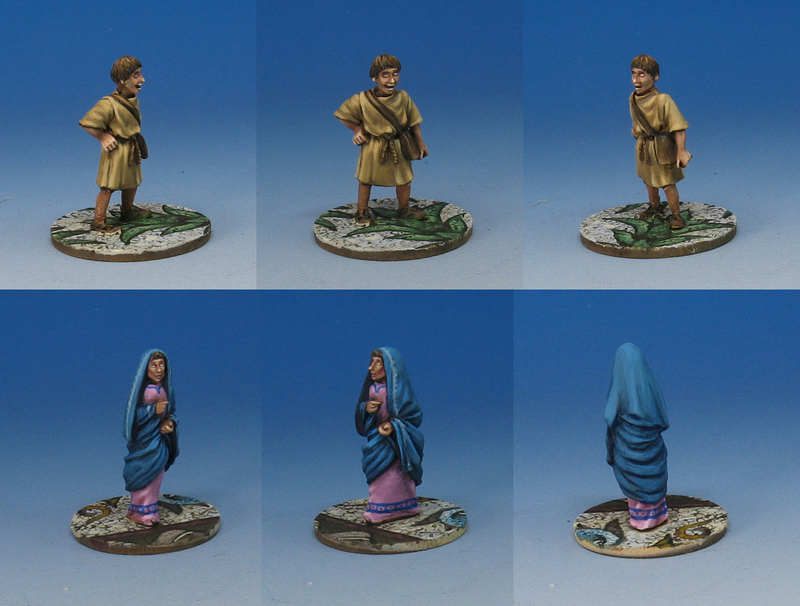 I really love basing, as it tells a story about each miniature. Normally I don't get to create little dioramas like this, so I thought it would be fun to take advantage of the opportunity these unique "units" provided! 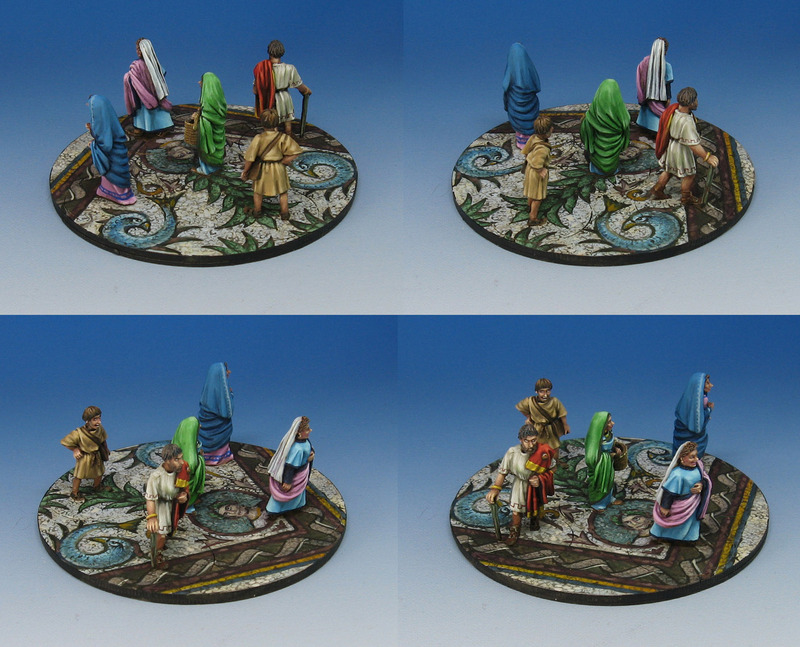 As you can see, the trickiest part of the mosaic design on a "multibase" set such as this would be making sure the individual bases still have enough of an interesting design on them. This influenced the overall designs a great deal. I had to make a lot of adjustments here and there to be sure that each figure had a decent chunk of the design... and that it didn't detract too much from the actual figures. It was really neat to see these guys off the multiple base design. 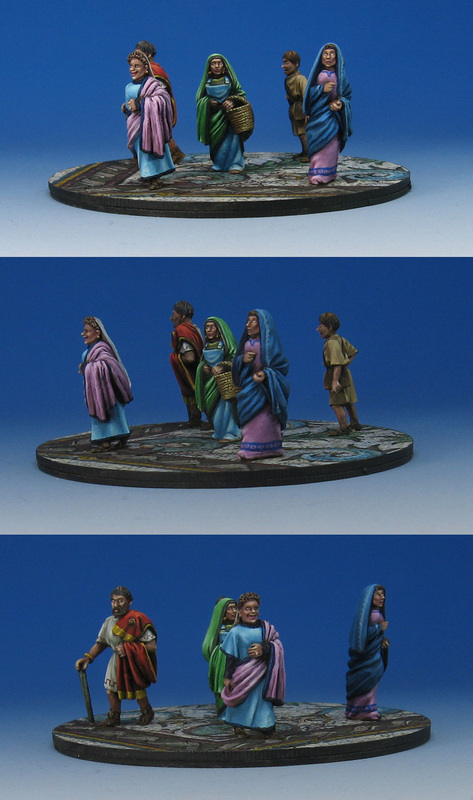 I was very pleased to see that each one had just enough of the design to make the figure look like it was on a mosaic floor! I will try to do more tutorials on mosaic tiles in a facebook live session, and eventually another round of recorded videos for the Patreon supporters. Here's a link to the page to get in on the action!